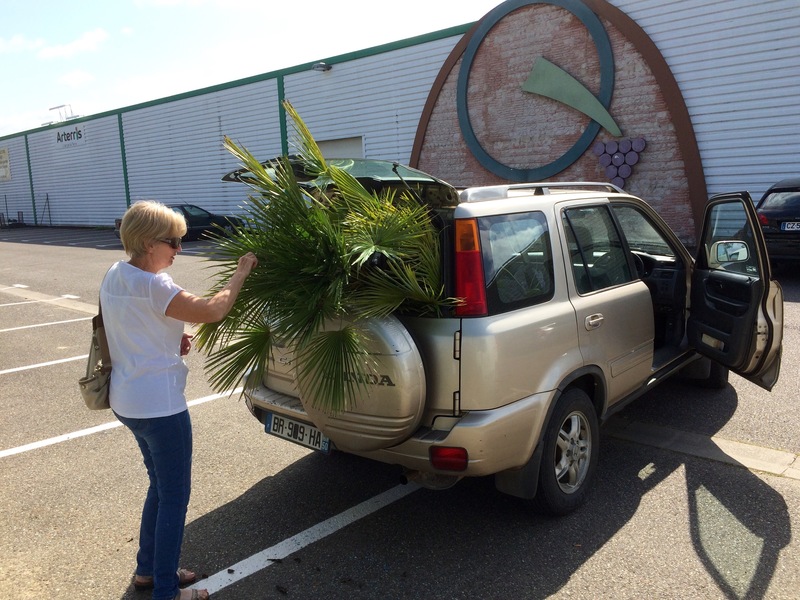 The things you do to get a plant home!!! 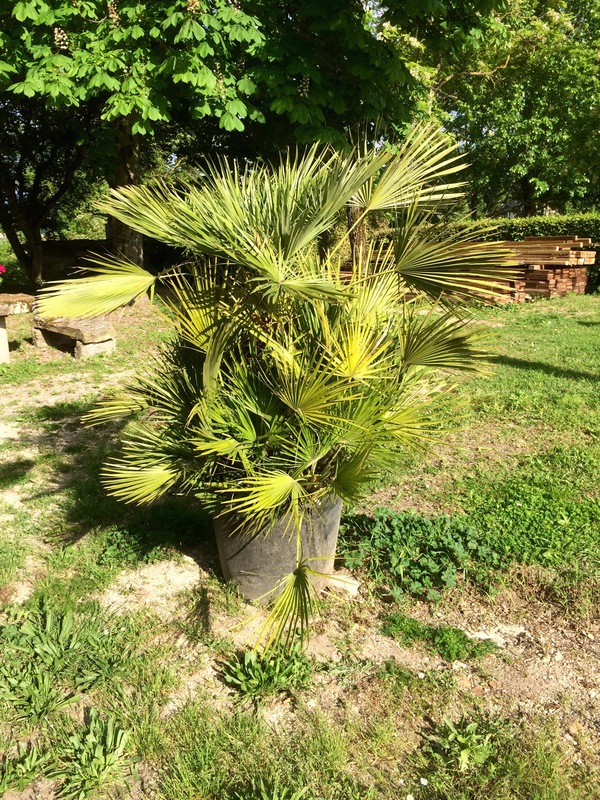 Our local garden centre Gamm Vert have reduced lots of their exterior trees and shrubs, now we love a bargain, like most people and all these plants need a good home. That’s exactly what Marion and Ian thought, they had their heart set on a fabulous knarley old olive tree but alas we couldn’t fit it in the back of the car and they don’t deliver. 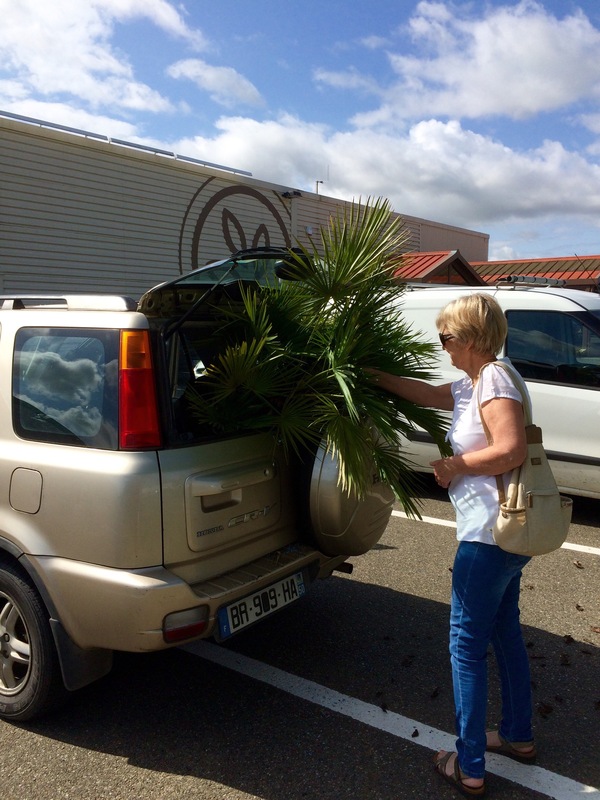 Sowe were about to set off home all fallorn when we spotted a lovely bushy Palm, mmm will we get it in the car? we all asked ourselves. Argh yes we will, well after lots of heaving, pushing and tugging. And here it is in its new home, well temporary home as it will end up by the pool once the decking is finished.